There are more than 420 students enrolled in K4-5th grades. We maintain high expectations for every child and offer a rigorous yet developmentally-appropriate program. Students have the opportunity to participate in an accelerated program. Students in grades K4-5 have the opportunity to attend chapel, the Wonder Room, PE, art, music, Spanish, library and recess. Parents are invited to attend chapel each Tuesday. Technology is integrated throughout each subject area. School families represent more than 140 different local churches. Students with learning disabilities are assisted by certified teachers in the Special Programs Department. We hold ourselves accountable to provide the best Christian education possible. We believe that every child needs to be taught by a teacher who has a personal relationship with Jesus Christ and is a potential ‘Teacher of the Year.’ We look forward to partnering with you and watching your child grow in so many ways! We strive to help our students realize the gifts that the Lord has given them and encourage students to focus on how they can use their gifts to further God’s kingdom and honor Him. Students are encouraged to focus on their strengths and are reminded not to allow weaknesses to define them. Some students may excel in academics while others shine in the area of fine arts, performing arts or athletics. Ultimately, we pray that students understand that their identity is in Christ. Our faculty begins their workday with devotions at 7:20 a.m. each day. All of our elementary students begin their day with a Bible lesson, devotional or praise and worship time. Children are placed in classrooms to meet their academic and social-emotional needs. Students grow in all areas as they complete hands-on projects and are actively engaged in the classroom. Our students are learning to work well with others, present material effectively and think! Our students must be prepared to decipher and apply truth. Pre-kindergarten K4 students (four year olds) spend part of their day together as a large group and then break into small groups depending upon the goal and activity. Students rotate through the rooms in order to participate in a variety of centers as they build relationships with all of the K4 teachers, paraprofessionals and students. Our K4 teachers are state certified and have a degree in Elementary Education or Early Childhood Education. Our K4 students transition quite well into our K5 program. Kindergarten’s academic setting prepares students through an introduction to Singapore primary mathematics, literacy and writing centers. Most of our kindergarteners (K5 students) are reading at different stages and are well prepared for first grade. Students participate in the Open Court reading and phonics program, an extensive instructional reading program that uses literature to develop skills in critical thinking, problem solving and written expression. The math curriculum supports mastery of math skills, understanding of concepts and integration of problem solving. Social studies and inquiry-based science are the other academic subjects. In grades 1-5, we offer an accelerated program and flexible grouping. In lower elementary, students are placed in clusters and have a main academic teacher. In upper elementary, students are placed in a homeroom and will attend a math and reading class that meets their needs. Our K4 and K5 classes visit the Fab Lab, while our students in grades 1-5 go to the Wonder Room. Students participate in STEM-based science and math labs. Problem solving skills and creativity are strengthened as students collaborate in these elementary science labs. Students are tested annually using the TerraNova Achievement Test. Teachers will also administer benchmark testing three times per year as we monitor growth and identify any possible gaps. Parents are invited to meet with the teachers to discuss progress. Students with mild learning disabilities are assisted by certified teachers in the Special Programs Department. K4 through fifth grade students participate in a variety of activities that promote learning including field trips, centers and performances. There are opportunities for enrichment through ACSI activities including the math olympics, spelling bee, art, and band and choral festivals. Children enjoy Grandparents Day and look forward to Creation Care Week and Elementary Olympics each year. Upper elementary students have the opportunity to participate in band and chorus. K5 and first-graders are welcome to participate in group lessons in the piano lab. Private lessons are offered to children starting in the second grade. Chess is offered as enrichment programs after school. Many students enjoy our fall flag football league. Students in fourth and fifth grades may try out for the elementary archery team. All curriculum choices are based upon the school’s theme, “Education in light of God’s Word.” Christian and secular texts are utilized. Biblical thought and Christian perspective are integrated within each discipline. Teachers are viewed as the living curriculum whose impact is beyond the written text. All teachers believe the Bible to be the absolute standard of truth. Elementary students use the English Standard Version Bible. Our K4 and K5 classes visit the Fab Lab weekly, while our students in grades 1-5 go to the Wonder Room. Students participate in STEM-based science and math labs. Problem solving skills and creativity are strengthened as students collaborate in these elementary science labs. *Please see financial policy brochure concerning fees for group and private piano lessons. Odyssey of the Mind is a creative problem-solving competition for students from kindergarten through college. It provides teams with the opportunity to learn creative problem solving, teamwork, brainstorming, self reliance and respect for individuals strengths. Chess Club – The chess clubs meet after school once or twice each week for chess players of all skill levels, grades 1-12. Elementary Archery Team – Students in the fourth and fifth grades may participate on the LCS Archery Team. The group meets on Tuesdays and Thursdays from December to May and competes in the NASP state tournament and other local tournaments. Contact James or Barb Moore for more information. Flag League Football – Boys and girls in grades K5-5 may take part in the Viking Flag Football League that runs during the months of September and October. Practices are held on Friday afternoons and games are held on Saturday mornings. Contact Todd Radford if you have questions. A-Team – Students in fifth grade may be on the Academic Team. The group competes against other schools in the area. 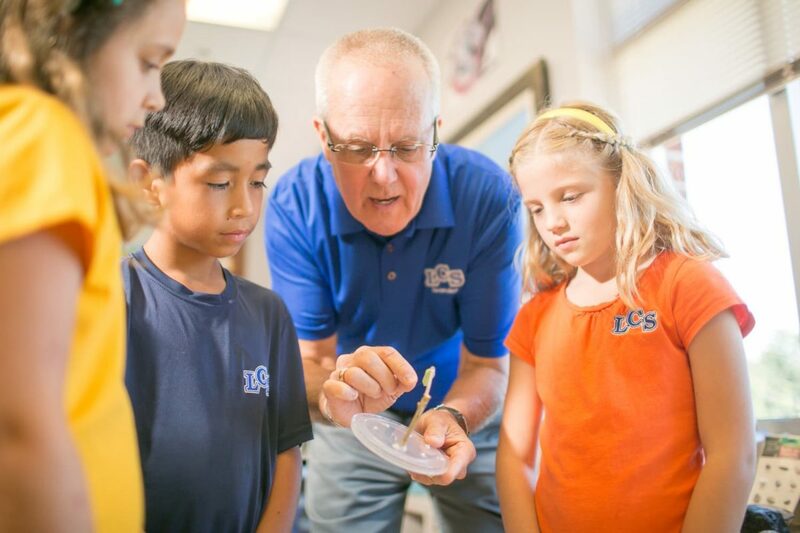 Elementary students have the opportunity to go on several different field trips throughout the year, as well as participate in a number of special activities, retreats, athletic events, fine arts festivals and camps. The year-round Chess Club meets after school in the first-floor teacher work room of the Elementary/Middle School building. The classes are on Tuesdays and Wednesdays and are for beginners, novice and advanced chess players. Coach Mark Williams has taught students of all levels at LCS and in Polk County for many years. He is a U.S. Chess Federation A-rated player and is a certified Local Level Tournament Director. 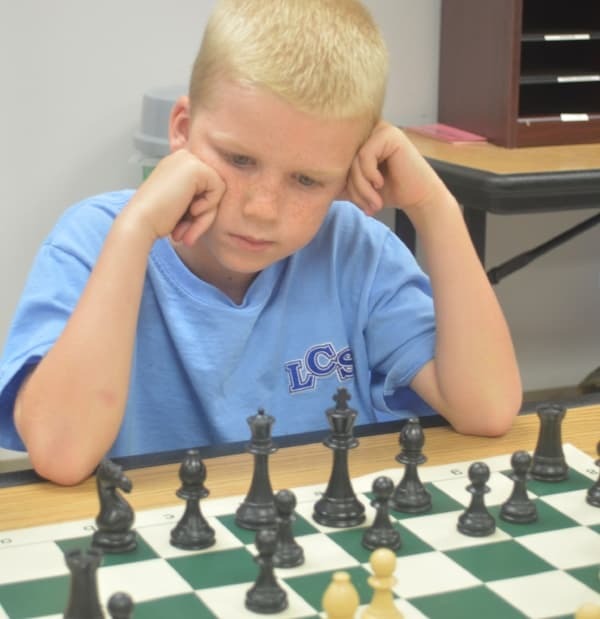 He is on the Board of the Lakeland Chess Club where he holds the Game in 90 minutes championship title and was runner-up in the Game in 25 minutes championship. Williams has competed in numerous USCF tournaments, including three U.S. Opens. He and his wife, Beverly, attend Heritage Baptist Church in Lakeland, where they have been members for more than 20 years. Coach Williams can be contacted at (863) 899-5417 or marksmove1962@yahoo.com. Students in the fourth and fifth grades may participate on the LCS Archery Team. The group meets on Tuesdays and Thursdays from December to May and competes in the NASP state tournament and other local tournaments. Contact James or Barb Moore for more information. Boys and girls in grades K5-5 may take part in the Viking Flag Football League that runs during the months of September and October. Practices are held on Friday afternoons and games are held on Saturday mornings. Contact Todd Radford if you have questions.